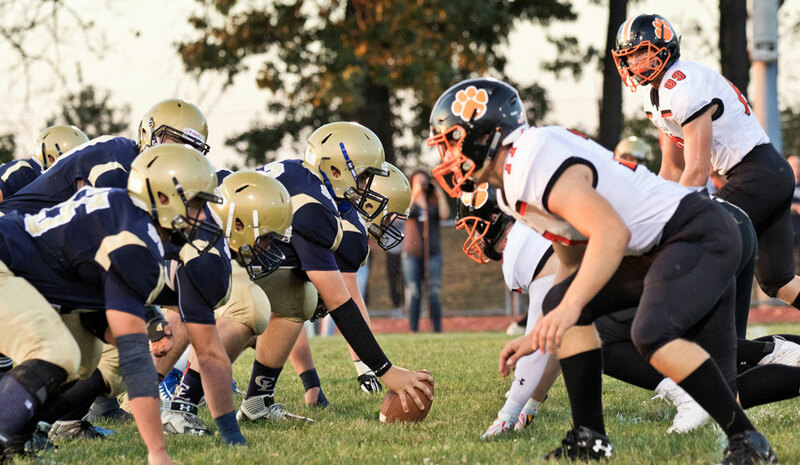 CLARION, Pa. (D9Sports) – It’s the dawn of a new day in Clarion County sports history, as Clarion and Clarion-Limestone are coming together to form a cooperative agreement in football. The Board of Directors of both schools voted to approve the co-op at separate meetings Tuesday night meaning that starting with the 2019 season, the once rivals will now be one team pending PIAA approval, which District 9 football chairman Bob Tonkin believes is just a formality. Clarion approved the measure with an 8-0 vote (board member Todd Bauer was absent from the meeting). C-L approved it 7-2 with board members Jamie Mahle and Roger Powell voting against it. “I can’t express it,” Clarion’s long-time head coach Larry Wiser said about his excitement of the co-op. “It goes back to when I first came to Clarion, to be honest with you. It has been great rivalry between the two schools, but it always seemed ludicrous that I live a mile-and-half from the school (Clarion High School) and I drive through C-L to get to Clarion. Watch all of Wiser’s thoughts on the co-op. Wiser’s counterpart at C-L, Dave Eggleton, believes the same way. Eggleton said he believes the co-op will ensure that students at both schools (really all three including North Clarion) will have the opportunity to continue to play football at the appropriate level. According to Eggleton, the players he coaches are excited about the co-op. 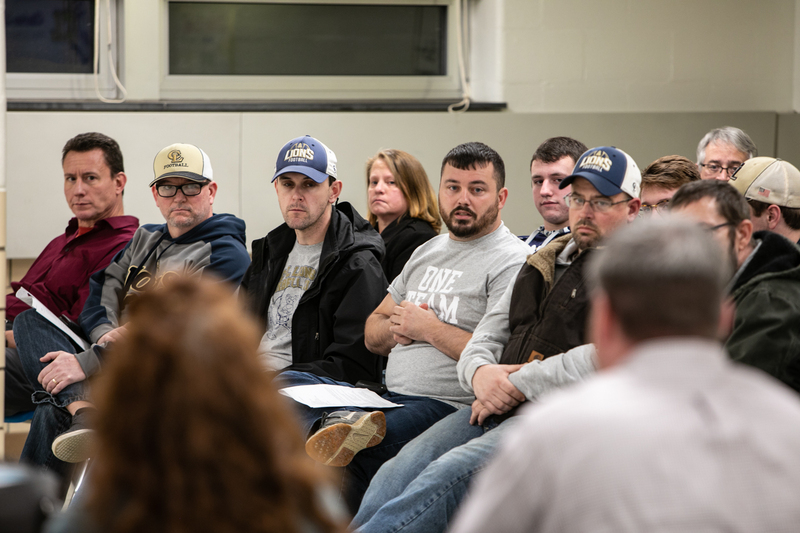 There was more discussion at the C-L meeting than at the Clarion meeting, where the vote took place with no discussion prior to the roll call – although a few Clarion board members thanked members of the administration and community as well as the students after the vote was taken. C-L board president Molly Greenawalt acknowledged the process was a long time coming. Clarion Board president Hugh Henry said he wanted to thank the folks behind the scenes at Clarion who helped get the job done including high school principal John Kimmel, athletic director Nancy Mills and district employee Jill Spencer, who serves as the board’s secretary. “I appreciate everything you have put into this and your effort,” Henry said. Clarion board member Julie Hartley acknowledged the role the students played in getting the co-op to happen. “I want to acknowledge the students and their willingness to be a part of this process,” Hartley said. For the upcoming season, Clarion will be the host school – there really was no choice as the PIAA is in the middle of a two-year classification cycle and the only way the governing body of Pennsylvania High School sports will allow a new co-op in the middle of the classification cycle is if the newly formed jointure doesn’t cause a program to change classifications. Clarion was a Class 2A football-playing school in 2018 while C-L was a Class 1A school. The new venture, which will also include North Clarion, who was already in a co-op with Clarion, will continue to be a Class 2A school thus the reason Clarion needs to be the host school. 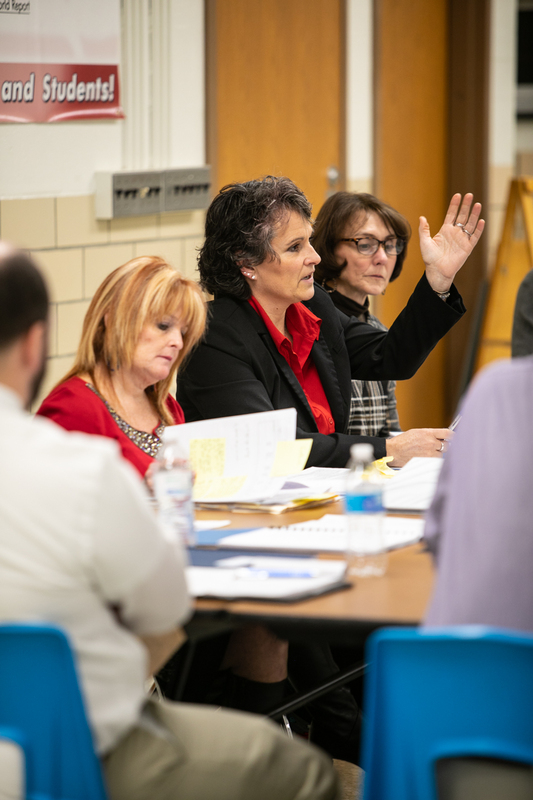 According to North Clarion athletic director Bonnie Wolbert, she doesn’t believe her school board will need to vote for the addition of C-L to the co-op. Both schools have pledged to take a look at the “host” school situation again prior to the PIAA reclassifying for the 2020 and 2021 seasons. As the host, Clarion will be in charge of hiring the coaches and making all final decisions regarding the program. Although, a joint committee with representatives from both school districts will serve in an advisory role to those decisions. In addition, games could be played at both the C-L football field located behind the C-L Elementary School and Clarion University’s Memorial Stadium, the home field for the past 14 years for Clarion. If and how those games would be split is still to be determined as are other details like where junior varsity games would be played. The co-op team will don Clarion uniforms for the 2019 season and be known as the “Bobcats” but a discussion will take place prior to the 2020 season about whether or not to create a new name for the team, which could include both the nickname and overall moniker. An example of this would be what happened when A-C Valley and Union joined their football teams three years ago. The new team is known as the Union/A-C Valley Falcon Knights taking the nickname of both schools and combining it into one while using the name of both schools as well. C-L says the co-op will cost the district around $22,824.00 which includes a flat fee as opposed to a per-student fee for C-L players playing at Clarion. That is comparable to the $22,600.00 C-L spent on a football operating budget this past season. “I’m hoping we see an increase in participation which would make the flat fee more attractive to us and decrease the cost per athlete,” Greenawalt said. 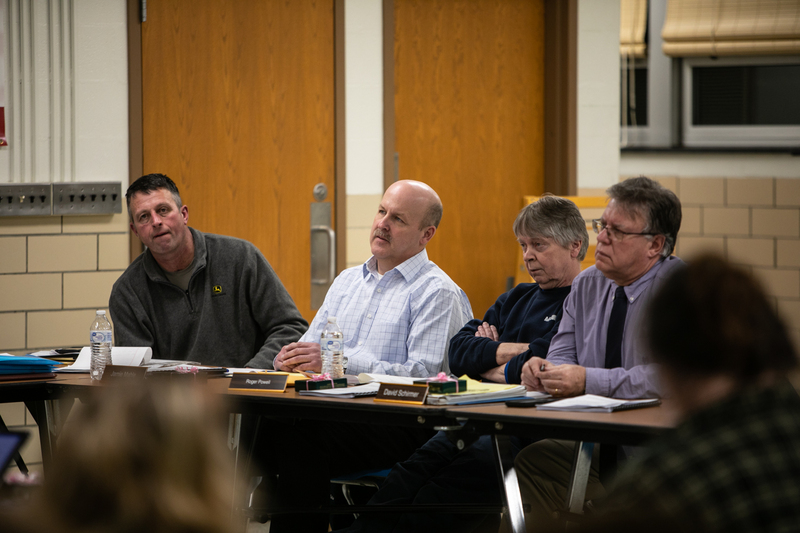 C-L board members were assured the district could leave the program at any time and that the co-op is officially reviewed every two years of the five-year initial program. Junior varsity teams are considered part of varsity programs, and the junior high co-op program with Clarion, which started this past season, still has one more year in it before it would have to be renewed. Questions about transportation still need to be resolved, but likely a waiver will be issued for C-L students who would like to drive their own vehicles to practices and home games. Addition questions about bands and cheerleaders were also addressed during the C-L meeting. Greenawalt said Clarion students will have an opportunity to participate in the cheerleading program at C-L (Clarion hasn’t had cheerleaders the last couple of years). The new Clarion, C-L, North Clarion co-op is one of eight co-op football program in District 9. The others including the aforementioned Union/A-C Valley merger, Ridgway/Johnsonburg (Ridgway as the host), Otto-Eldred/Oswayo Valley (Otto-Eldred as the host), Sheffield and Abraxas (Sheffield as the host), Coudersport/Austin (Coudersport as the host), Brockway/DuBois Central Catholic (Brockway as the host) and Kane/East Forest (Kane as the host). 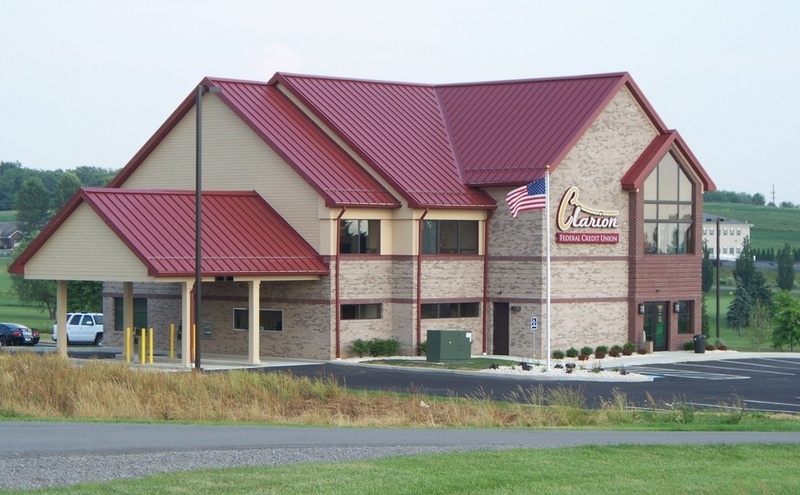 Clarion Area Approves Co-Op Program with C-L Junior High Football, More Forthcoming?